McMillan noticed the police officer following him, stopped in front of his car and confronted him, pointing a handgun at the officer’s head. ‘Why the f*** are you following me?’ the Herald Sun reported him as saying. 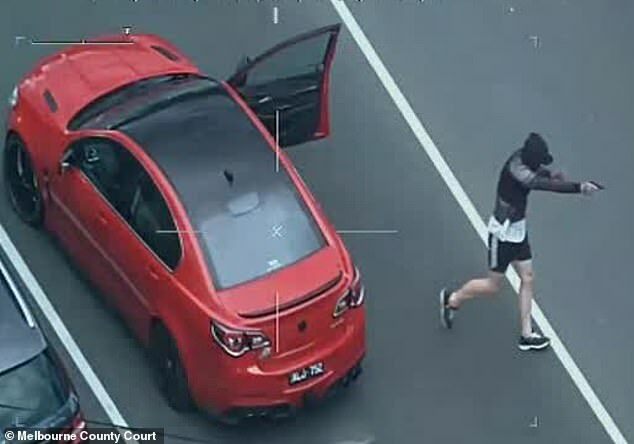 The fugitive drove recklessly through Melbourne’s western and northern suburbs reaching speeds of up to 200km/h. The video shows several onlookers coming to the woman’s aid during the attack which occurred about 5.40pm. 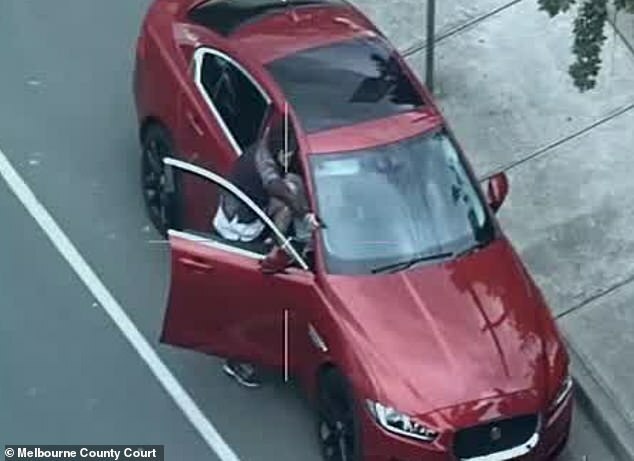 One good samaritan crouched by the driver’s door, sheltering from the gun which McMillan was pointing at them. 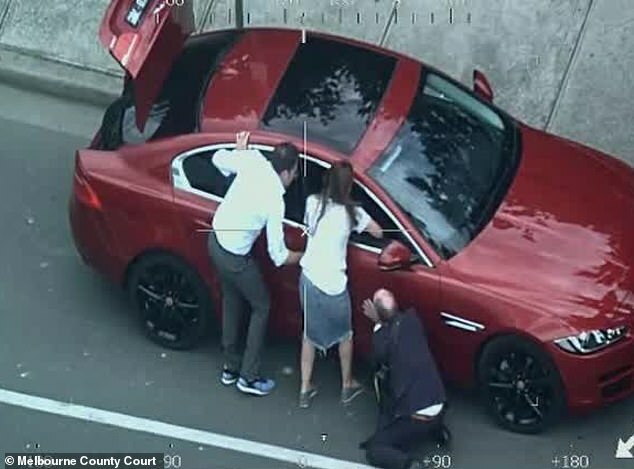 The video shows the bystanders opening the car’s doors and trying to get inside to thwart McMillan who reverses, smashing into a white car behind before speeding off with the boot still open. 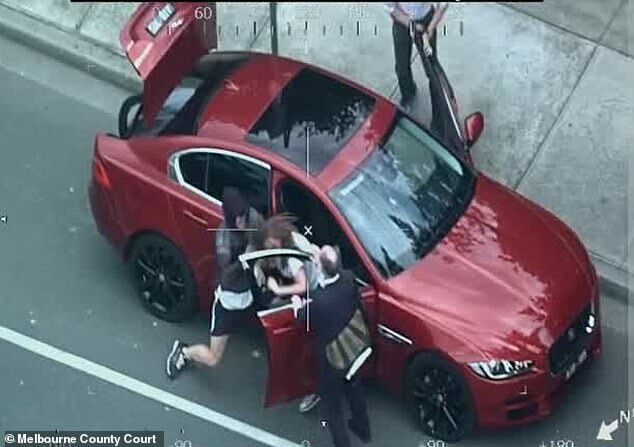 McMillan drove off in the woman’s Jaguar again reaching speeds of up to 200km/h before smashing his way through the exit boom gate of Doncaster shopping centre carpark where he stole another vehicle, this time a Mercedes.